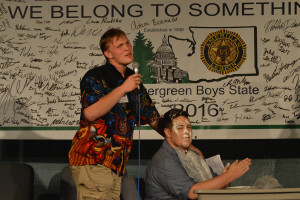 Thursday Evening the citizens of Evergreen set aside their duties for an hour and held a talent show. 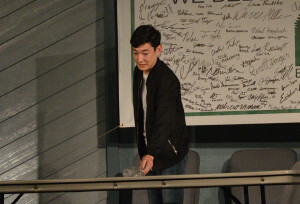 This page memorializes that hour. 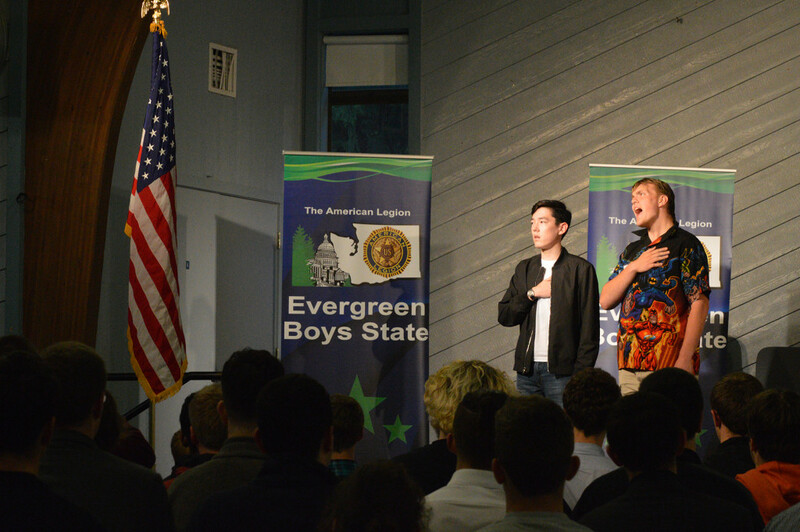 Abe Bartlett and Peter Hamilton of the Junior Staff started things off with the National Anthem. 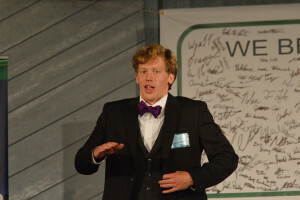 Kris Lusis of Hemlock had intended to sing Piano Man by Billy Joel, but his had voice failed him throughout the day and he opted to bow out. 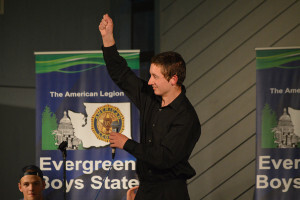 Caleb Geringer of Fir wowed the audience with his magic tricks and comedy. 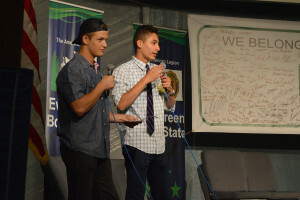 Ben Bagley, Cameron Grant, Miguel Correa-West and Ben Chung…”The Guys” from Birch collaborated on a song. 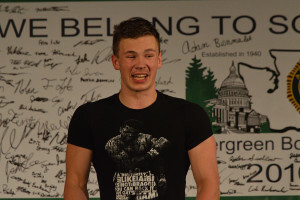 Peter Hamilton of the Junior Staff was brought to the stage to attempt his famous water bottle trick. 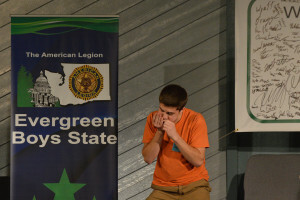 Andrew Jenkins of Elm whipped out his harmonica next. 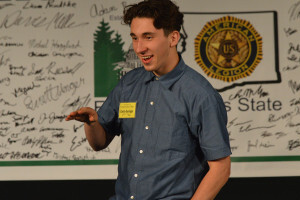 Gunnar Newell of Maple changed it up with a pair of poetry recitations. 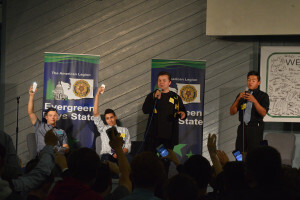 Abe Bartlett, Brandon Moreno and Draevin Luke of the Junior Staff presented a unique rendition of Adele’s Someone Like You. 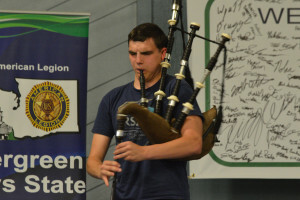 Daniel Smith of Maple brought Oh! 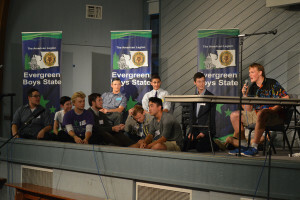 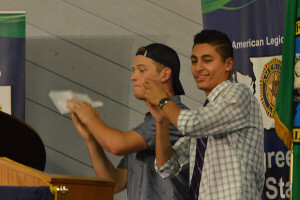 Canada to Evergreen Boys State. 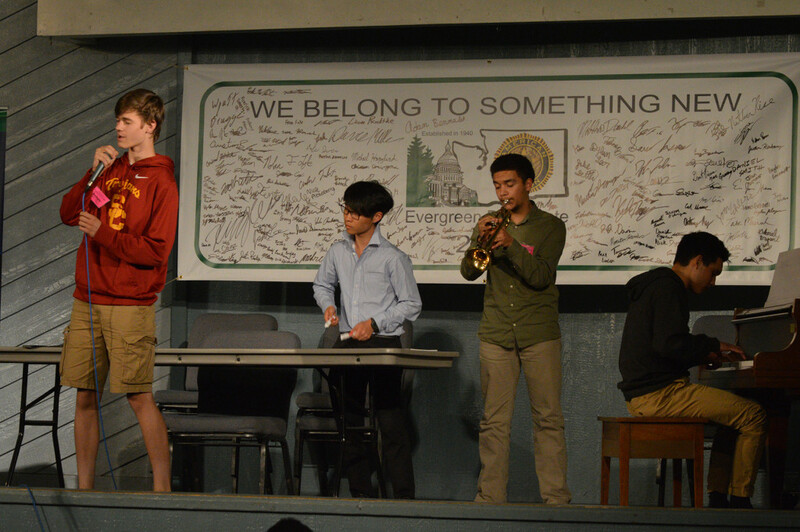 Mitchell Reid and Taewoong Thungdee of Fir toned it down a bit with Hallelujah by Jeff Buckley. 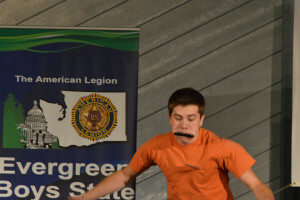 Jake San Agustin of the Junior Staff brought the energy back up with his amazing dance skills. 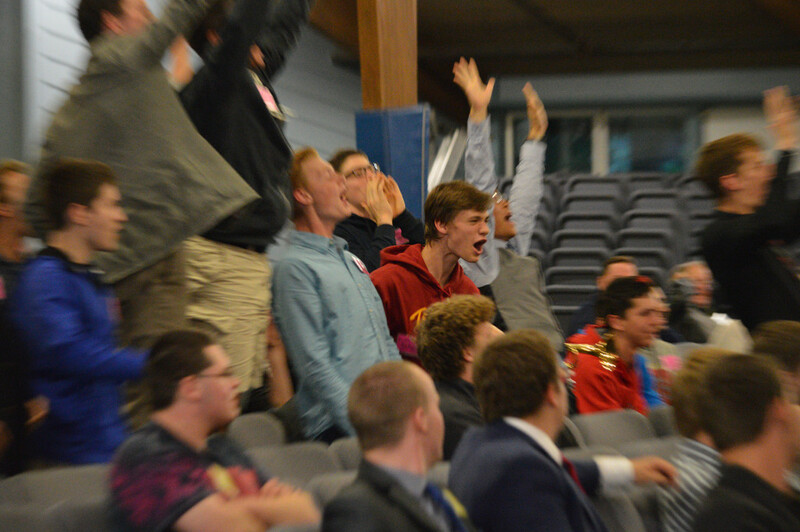 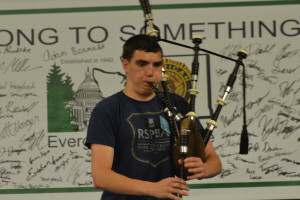 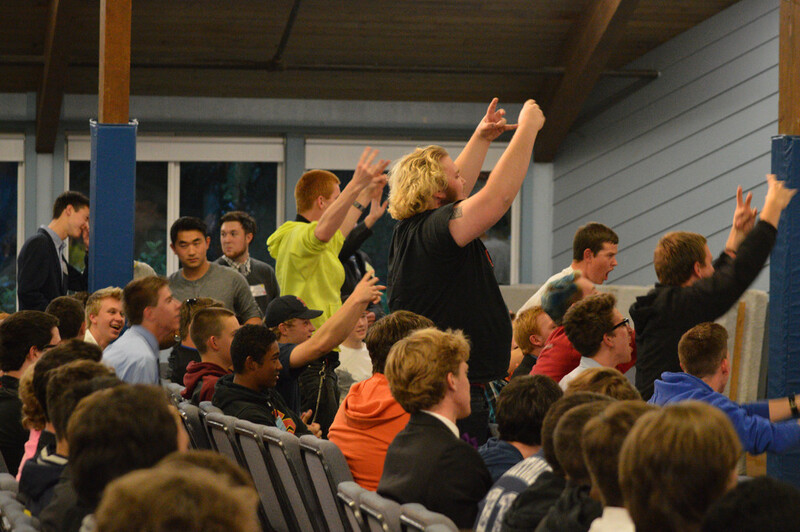 John Sommer made history by being the first ever to bring bag pipes to Evergreen Boys State. 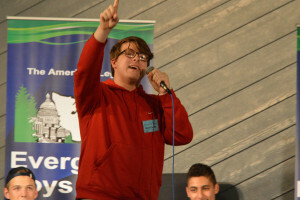 The Junior Staff made their final appearance, summarizing the week with their poetry slam. 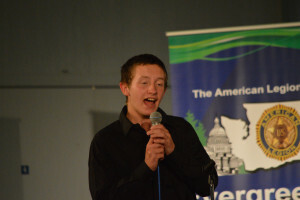 Finally, Michael Kennish ended the show with his rendition of Heart and Soul by Hoagy Carmichael.